It’s Day 5 of Ex-Pat Week — WNYers living out of town sending us their finds! 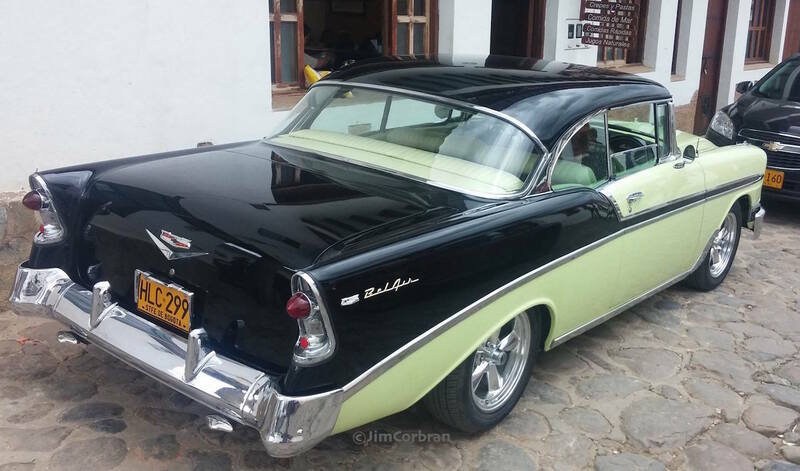 Tri-Five Chevys (1955-57) are still a big draw in the collector world, but examples such as this 1956 Chevy Bel Air often seem to be the red-headed stepchild of the bunch ('55s are so popular because they were the first; and the '57s somehow seem to have have attained the status of GodCars). Too bad, because the ‘56s are my favorite of the lot (because I’m a middle child?). 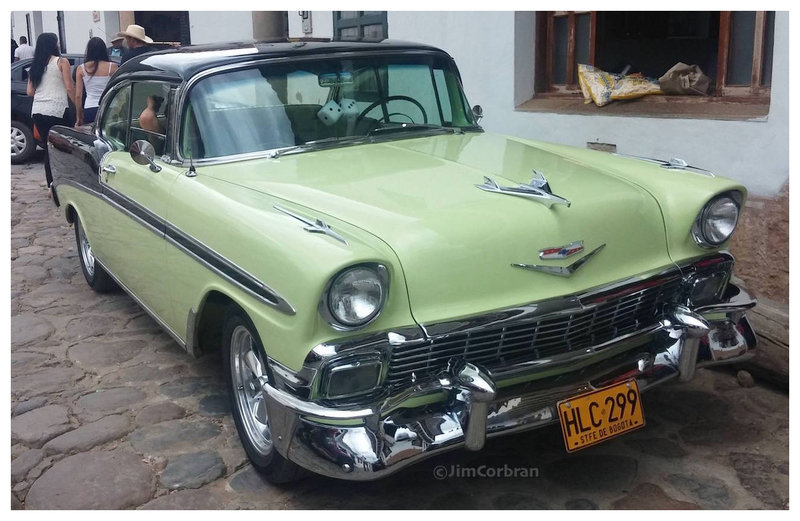 WNYer Tad Ries Dziekonski currently resides in San Andrés, Columbia; he found this well-preserved example over the summer in the town of Villa de Leyva.